See what we did this afternoon! 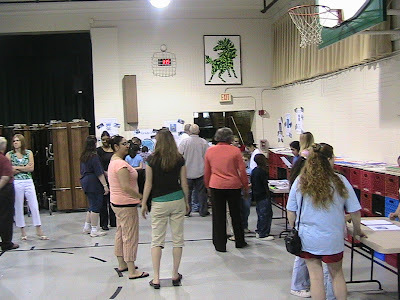 Jacob's 4th grade class put on a Wax Museum in the gym at school. Each kid chose a famous person in history, and prepared a short recap of their life. 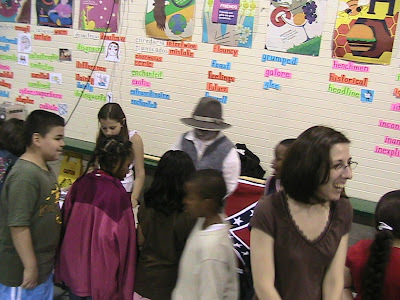 Then, they collected 'artifacts' about that persons life, and dressed as that person. Jacob chose Robert E. Lee. 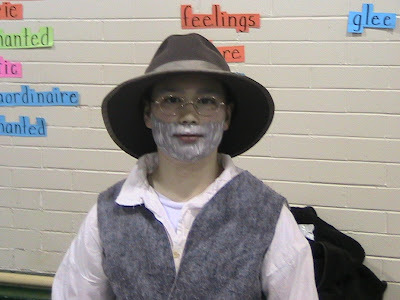 He had his civil war costume, plus Brent's hat. I helped with a cool beard (yah, it's cool and you know it!). His artifacts were a mini cannon (toy sized), a framed picture of Robert E Lee (it's been hanging in my room since Brent and I got married. I know you are all SOOOO jealous! ), a painting of Robert E Lee's command post flag, and a full sized Confederacy battle flag (square is a battle flag, rectangle is a redneck flag). It was pretty busy. 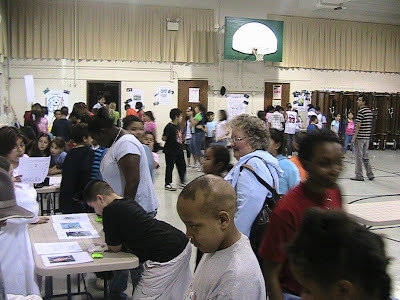 They had grades 1-5 come and visit. 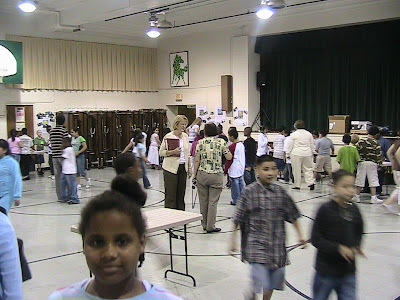 Each grade had about 15 mintues. The kids would come to Jacobs table, and push the "button" to animate the wax museum characters. Then Jacob would read his little speech, explain about the artifacts, and go back to being a statue. It was pretty funny to watch! I am jealous. That's a cool picture, and Robert E. Lee was the stuff. I must say, with our family being into Civil War reenacting the way that it is, that I do appreciate the picture of Lee a lot more than I did when we first got married. Great job, Jake...Outstanding! 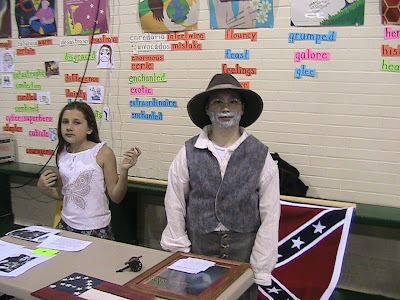 I proud that you know so much about Robert E. Lee!